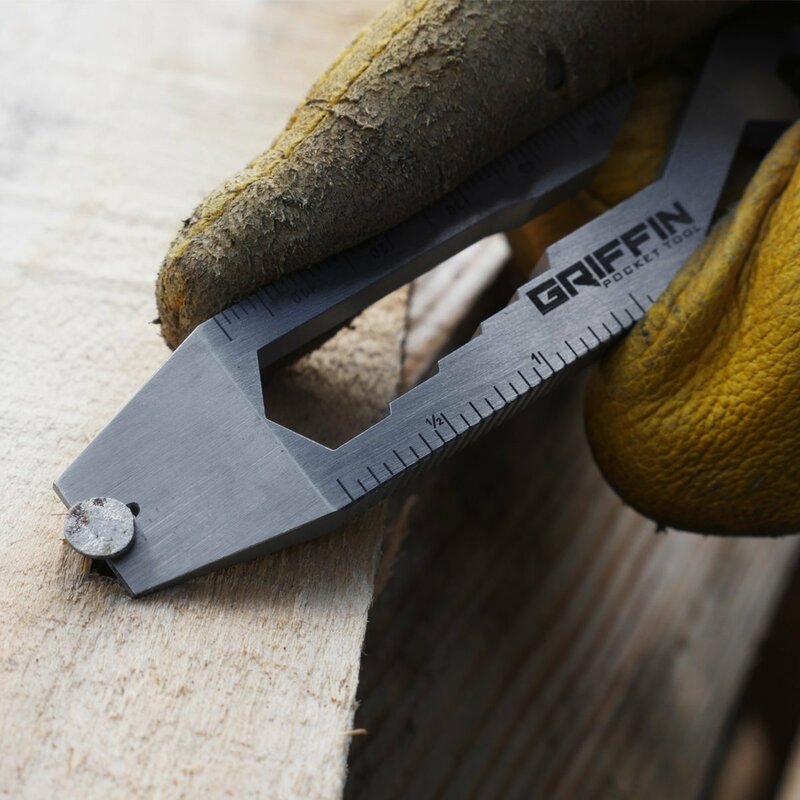 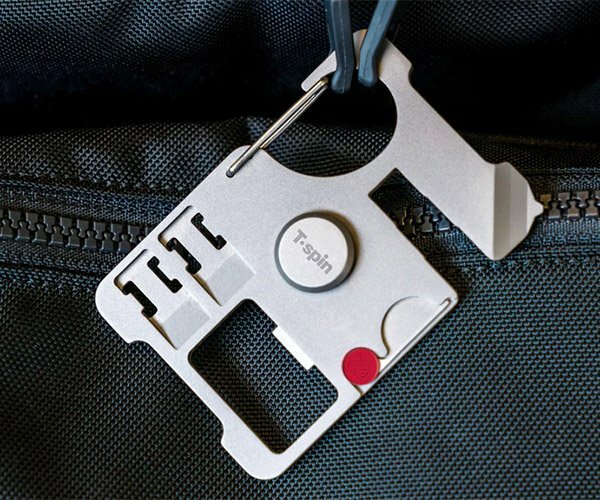 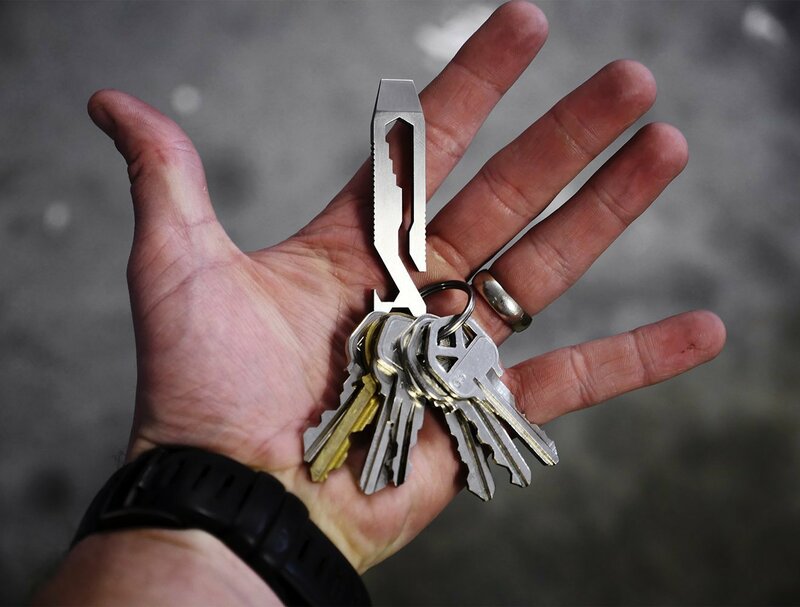 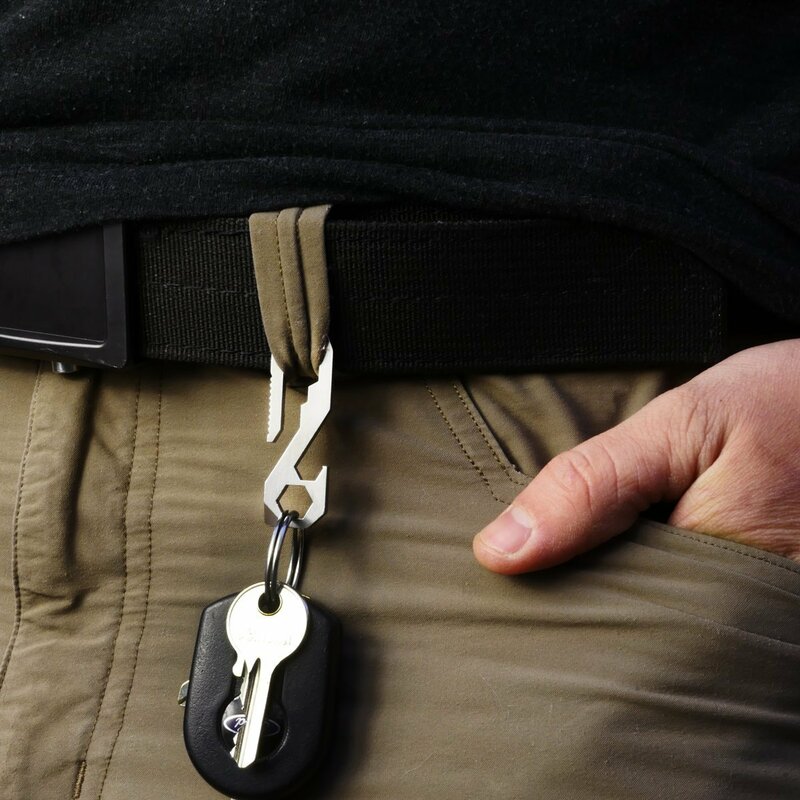 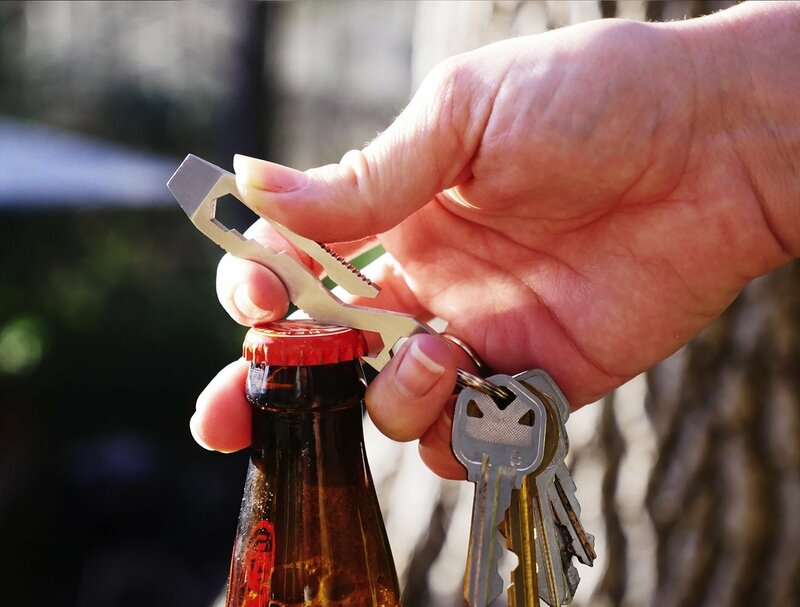 A versatile and compact tool perfect for your belt loop or keychain. 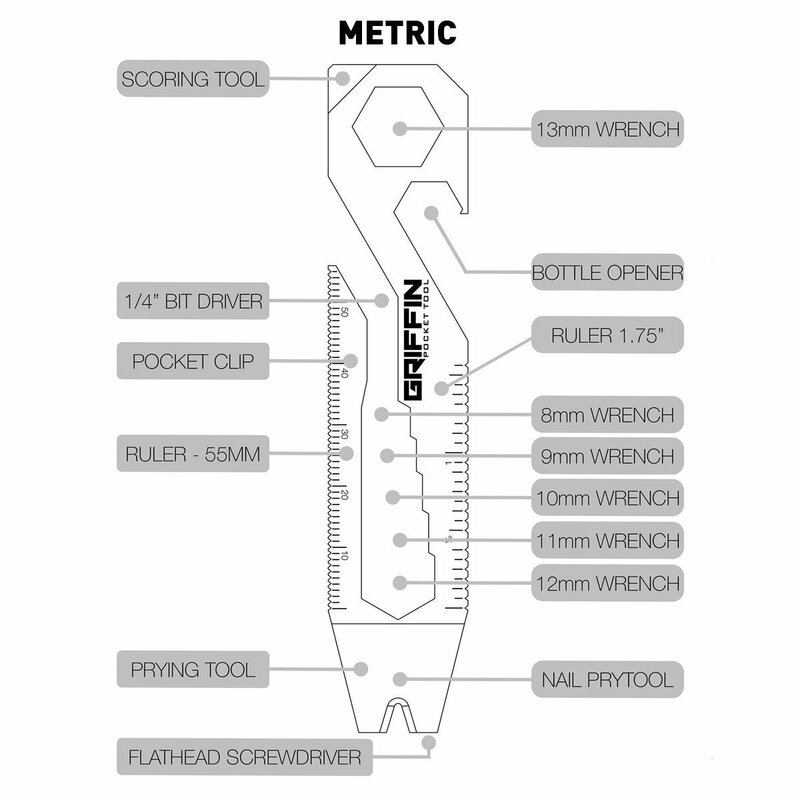 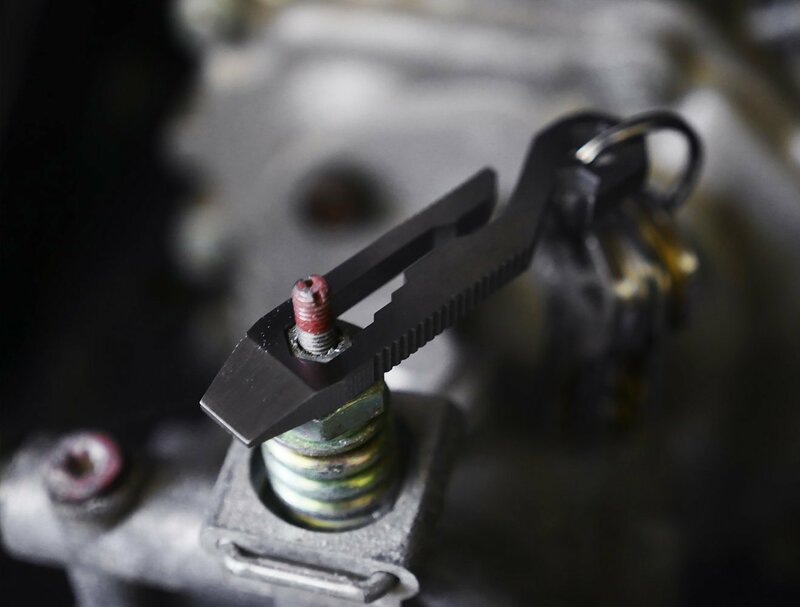 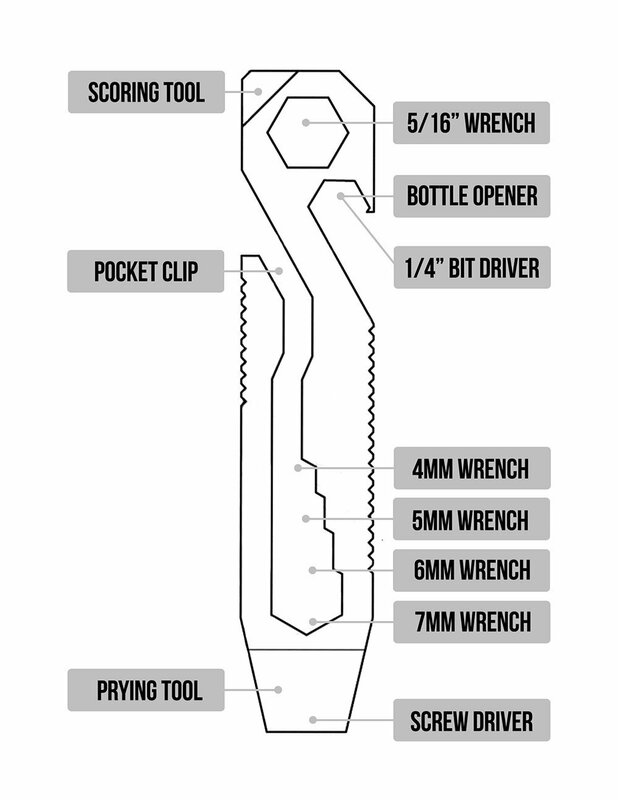 It packs a 4-7mm and 5/16″ wrenches, 1/4″ driver, bottle opener, a pry tool, screwdriver, and scoring clip. 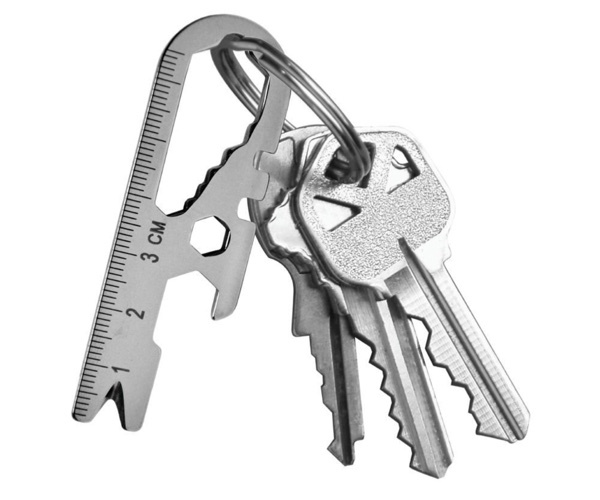 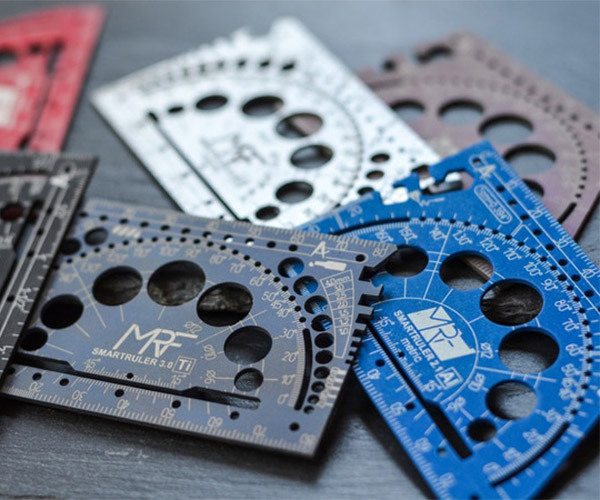 The XL version gains extra wrench sizes, a ruler, and a nail popper, while the mini version is, well, mini.